Aberturret Cottage offers self catering accommodation for 5 guests. This traditional cottage sits in the former Dower House grounds, close to the River Turret, and opposite the Famous Grouse whisky distillery, with instant access to beautiful country walks and near to the amenities of Crieff. Take to the hills or relax in comfort in this peaceful setting. Loch Turret nearby provides spectacular views and walking. This setting is perfect for walking or cycling, with Loch Turret close by, The Knock and Lady Mary’s Walk in Crieff. Nearby Comrie offers Glen Artney and Glen Lednock to explore and beyond is St Fillans, Loch Earn, Ben Vorlich, Killin and so much to explore. The scenery here is fabulous and where better to enjoy it than from one of the very popular local Golf Courses. 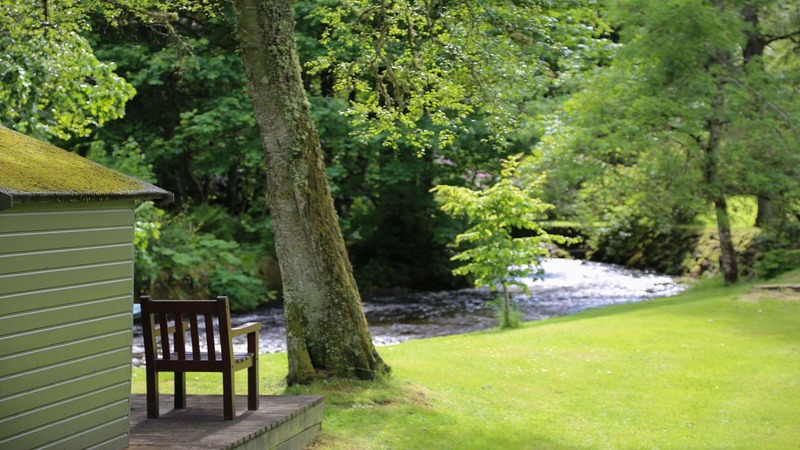 From Aberturret Cottage you have on hand golf courses at Crieff, Comrie, Muthill, St Fillans and around 20 minutes by car, the world famous Gleneagles Hotel. 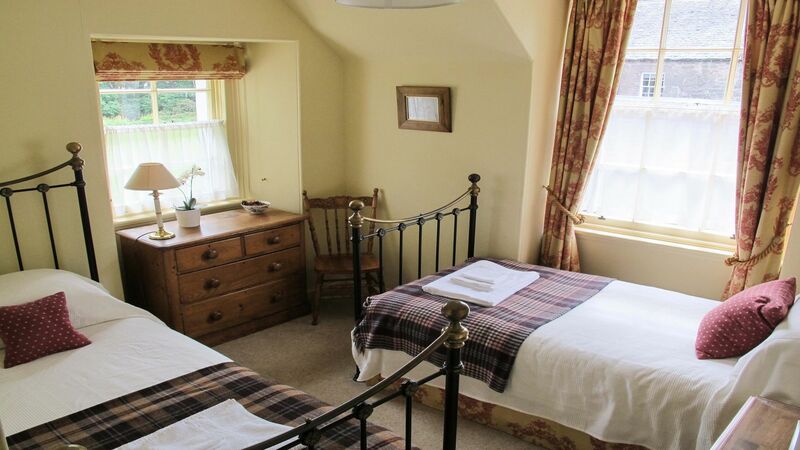 Tastefully decorated throughout, Aberturret Cottage provides comfortable and cosy accommodation for up to 5 guests. Secure parking is available directly outside the apartment and there is level entrance. Inside there is a flight of stairs to the second floor. Aberturret Cottage has its own huge garden (complete with river running through) and lots of mature plants and trees. A lounge/dining/kitchen area with Sky television and sofa seating. The kitchen is fully equipped with electric hob, microwave, fridge-freezer, toaster and kettle. There is also a ground floor bathroom with shower over the bath. The cottage is well equipped throughout and has lots of books, games and videos for you to enjoy. One king size bedroom, one twin bedroom, and one single bedroom. A cot can be provided to replace one of the single beds. Maximum occupancy 5 or 4 plus a cot. A visit to The Famous Grouse Experience is a must. A very slick and modern presentation of this world famous whisky brand, and it’s right next door to Aberturret Cottage (separated by a huge swathe of garden and trees). Outside Crieff is a Visitor Centre which is home to Caithness Glass, as well as Stuart Crystal and a fabulous Garden Centre at Bennybeg. Children can enjoy a morning or afternoon painting plates or cups at Bennybeg. Enjoy a cup of tea there too after visiting the garden centre. Nearby is Drummond Castle Gardens, again a must for visitors to the area. The garden is laid out to an Italian design, owned by the Ancaster family it was designed to be at its best in August and September, but it replays a visit at any time of year.